A fan belt, also known as a drive belt, is a belt connecting your car's engine to the front mounted accessories. The fan belt rotates the water pump and engine fan, which maintains a cool environment for the engine and its components. Sooner or later, your vehicle's fan belts will dry out and crack. When you are ready for a replacement you can count on Master Tech Service Center for all your vehicle's repair needs. You not only have to get the belts replaced with quality ones but you should have the work done by experts. To have the belts replaced by auto cooling and heating experts - and get your car driving right - visit Master Tech Service Center today. The mechanics at Master Tech Service Center will thoroughly inspect your car's belts; replace all worn belts; and adjust the installed belts. Brake fluid is hygroscopic (it absorbs moisture). The absorbed moisture lowers the fluid's boiling point. It also corrodes the lines and cylinders. With the lowered boiling point, the brake fluid could boil during braking which makes you lose braking ability. Although this is an extreme scenario, it does happen in heavy braking. To reduce the effects of the absorbed moisture, auto manufacturers recommend that you have a brake flush done periodically. A brake system flush involves the replacement of used and contaminated fluid with fresh fluid. With Master Tech Service Center's quick lube services, you will have a brake system flush performed by brake experts. Call 817-268-3772 or visit Master Tech Service Center today. A car's air conditioning system contains a coolant which transfers excess heat from one part of the engine and finally loses it through the radiator fins. With time, the a/c coolant becomes old and dirty. The old coolant will negatively impact the system's performance. To make sure the system is working effectively, consider having a regular coolant system flush. A coolant flush is basic maintenance for your car's cooling system. Call 817-268-3772 or visit Master Tech Service Center in Hurst, TX 76053 for all your coolant system flush and fill needs. Ensure maximum performance from your vehicle's heating and cooling systems today. The differential is a car part that compensates for the difference in travel distance between the inner wheels and outer wheels when the vehicle is turning. Due to the differential's position in most non-four-wheel-drive (FWD) vehicles (located at the rear and under the car), it does not get any of the star treatment the engine gets. The one thing that every car owner needs to know is that failure of the differential will mean failure of the car. To save the differential from failure, you need to have differential fluid changed every 30,000 to 50,000 miles. Changing the oil on the differential is as important as changing the car's engine oil. Although checking and changing differential oil is pretty easy, you need to visit an auto shop to get a comprehensive differential flush. For differential flush services, visit or call Master Tech Service Center in Hurst, TX 76053 today. A fuel injector is an electronically controlled valve that supplies the engine with pressurized fuel. When driving, the oxygen sensors tell the engine if it is getting too much air, which signals the fuel injectors to give the engine spurts of pressurized fuel. Since fuel injectors are small pieces of equipment (and the part that squirts the fuel is even smaller), any little piece of dirt can clog it. A clogged fuel injector will hurt your vehicle's performance. To avoid misfires, poor emission rating, poor performance, and rough idle have the car's fuel injectors cleaned regularly. For professional fuel injection cleaning services, call 817-268-3772 or visit Master Tech Service Center today. To maintain maximum visibility (and keep you safe), you should always make sure that your vehicle's headlight bulbs are in good working condition. Although replacing faulty headlight bulbs is a simple and quick process (takes very little time), you need to rely on an experienced auto mechanic to handle your headlight and bulb replacement. This way, you will have quality bulbs installed by experts. Remember, it is a critical part of your car's maintenance and your safety. For all your headlight and bulb replacement needs, call or visit Master Tech Service Center today. Hoses transfer coolant and antifreeze throughout the engine's cooling system (including the radiator). Sooner or later, your vehicle's hoses will dry out and crack. When you are ready for a replacement you can count on Master Tech Service Center for all your vehicle's repair needs. You not only have to get the hoses replaced with quality ones but you should have the work done by experts. To have the hoses replaced by auto cooling and heating experts - and get your car driving right - visit Master Tech Service Center today. The mechanics at Master Tech Service Center will thoroughly inspect your car's hoses; replace all worn hoses; and adjust the installed hoses. Do you know the oil basics? Did you know that even some auto mechanics do not know the oil basics? In order for your car's engine to do its job properly, it is vital to have clean, fresh oil. The oil used in your car has two primary ingredients: base oil and additives. The base oil allows the motor oil to perform its vital function - lubricating the engine's moving parts to protect them against wear and tear caused by friction. The additives provide additional engine protection by helping to prevent the oil from deteriorating under the engine's extreme temperature conditions. At Master Tech Service Center, we are motor oil experts - we will help you with motor oil basics. 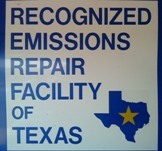 Call us at 817-268-3772 or visit our auto repair shop in Hurst, TX 76053 today. Did you know that regularly changing the oil in your vehicle is one of the simplest, most effective and inexpensive ways to help protect its engine life? Oil lessens wear, reduces friction, and forms a seal between the pistons, rings, and cylinder walls. The oil also helps cool engine parts and even dampens the shock and noise of moving parts. For all your oil change needs, call 817-268-3772 or visit Master Tech Service Center today. We have years of experience helping drivers with oil changes and other auto maintenance needs. The positive crankcase ventilation (PCV) valve is a very important part of some cars' emissions control systems. This valve, which is usually plugged into a rubber grommet in the valve cover, is a one-way passage for gases to escape from the engine's crankcase. With time, the PCV valve becomes clogged with sludge from the contaminants in the exhaust gases. If your car has a PCV valve, make sure it is regularly cleaned and (if necessary) replaced. To have your car's PCV valve changed by experts, call or visit Master Tech Service Center in Hurst, TX 76053 today. Power steering fluid is the hydraulic fluid that transmits the power in a steering wheel. Servicing the power steering involves flushing out the old power steering fluid and adding fresh fluid. A power steering flush will definitely help prolong the life of the power steering components. Failure to have periodic power steering flushes results in important parts like the power steering pump, the seals, power steering rack, and the O-rings wearing out. To have a comprehensive power steering flush, call 817-268-3772 or visit Master Tech Service Center today. A radiator is the part of your vehicle that keeps the engine cool and protects it from excessive heating. To be cool, the radiator needs to remain clean - always. With time, sludge, rust and other solid deposits build up inside your car's radiator. These make the cooling system become clogged and less effective. This in effect hurts your vehicle's performance. A regular radiator flush is enough to keep the system in shape. For this reason, make radiator flushing a part of your routine car maintenance schedule. For all your radiator flush needs, call 817-268-3772 or visit Master Tech Service Center today. Although most manufacturers recommend a transmission flush every 30,000 miles or every two years, some symptoms may indicate that you need a transmission flush sooner. Some of the symptoms that indicate that your car needs a transmission flush sooner are: transmission grinding or strange noises, problems shifting gears, slipping gears, surging of the car, and delay in vehicle movement. Flushing the used fluid from the transmission washes away tiny particles of dirt, clutch material, and metal shavings. For all your transmission flush needs, call 817-268-3772 or visit Master Tech Service Center today - we are transmission experts. Transmission flush and filter change is a comprehensive transmission maintenance service that involves the replacement of old, degraded transmission fluid and filter with new. The service is meant to prolong the life of your transmission. At Master Tech Service Center, we offer the most comprehensive transmission flush and filter service. We will exchange your old transmission oil, remove dirt, replace the filter, clean the screen, and replace used pans. Give us a call at 817-268-3772 or visit our auto shop in Hurst, TX 76053. Just like replacing your engine oil, transmission service is part of your routine vehicle maintenance. The service involves removing and examining the pan, cleaning or replacing the screen or filter, cleaning the pan, reinstalling the pan (with a new pan gasket), replacing the old oil with new, and adding an additive package. Adding new fluid restores the holding power between the clutches. This service helps improve lubrication and helps maximize the life of the transmission. For all your transmission repair needs, visit or call Master Tech Service Center in Hurst, TX 76053 today. We offer transmission services, reseal services, and clutch services. To keep your truck maintained and problem free, call or visit Master Tech Service Center today. We are here to keep you and your truck on the road. At Master Tech Service Center we service most cars and trucks. Call us at 817-268-3772 or visit our auto shop in Hurst, TX 76053. Count on Master Tech Service Center for all your maintenance needs. Visibility is very important to safe driving. Having properly functioning wipers can help keep you safer on the road. If your car's wipers are not wiping well or are leaving lines, have them replaced immediately. To have wiper blades fitted on your vehicle, call 817-268-3772 or visit Master Tech Service Center today. We will fit your car with high quality and effective wiper blades.